Check out our new greenhouse made possible by a grant LOFF – Lakewinds Organic Field Fund. 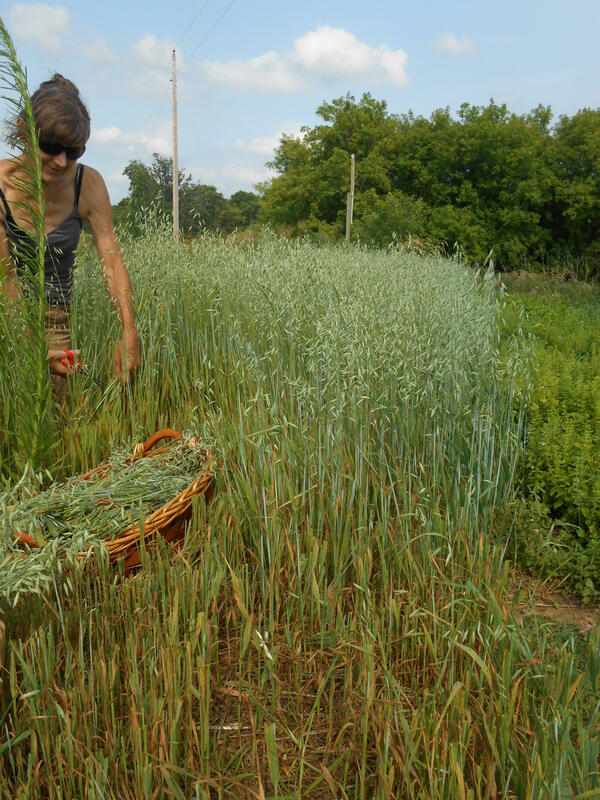 Miranda and I started harvesting our Milky oat seeds this week, (Avena sativa). The medicine of this plant is at it’s most potent when milk exudes from the seed when squeezed as seen in the video. After harvesting the milky seeds, we immediately place them in a menstruum of alcohol where they will sit in the dark for up to 8 weeks before being pressed out. During this time the natural plant constituents will be released into the alcohol, making a potent medicinal plant extract. According to world renowned herbalist and ethnobotanist, David Winston, 2007, author of ‘Adaptogens, Herbs for Strength, Stamina and Stress Relief’, “Milky oat seed is known as a trophorestorative. A trophorestorative is literally a food for a specific organ or tissue, one that nourishes the tissue, restoring normal function and vitality to the organ. Fresh Milky oat seed extract is a superb food for the nervous system. It is a slow acting tonic that calms shattered nerves, relieves emotional instability, reduces symptoms of drug withdrawal and helps restore a sense of peace and tranquility to overstressed, angry and chronically upset people.” It is also useful for situational depression in type A folks. We will have Milky oat seed tincture available in two weeks at the local farmers market we attend. come see us tomorrow, July 16th, at the Northeast Minneapolis Farmers Market from 9-1 pm and at the Linden Hills Farmers Market on Sunday from 9-3 pm. 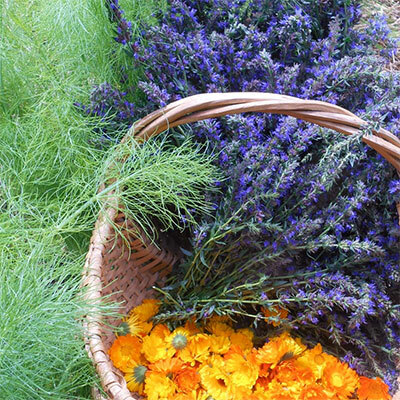 We will have a large array of of our certified organic, locally grown, handcrafted herbal botanicals. RED CLOVER HERBAL APOTHECARY FARM provides seasonal CSA herbal shares of certified organically grown and sustainably wild harvested herbs. We are your LOCAL HERB FARMERS, so you get to know where your herbs come from and the farmers that grow and wildcraft them. Plus, our herbal products are FRESH and MADE IN SMALL BATCHES. With our fresh culinary herbs, dried teas and thoughtfully handcrafted high quality herbal products, we strive to come up with common sense herbal shares that contribute to your health and well being for each season.